Features:Made from fresh chicken meat and carefully selected exotic fruit. 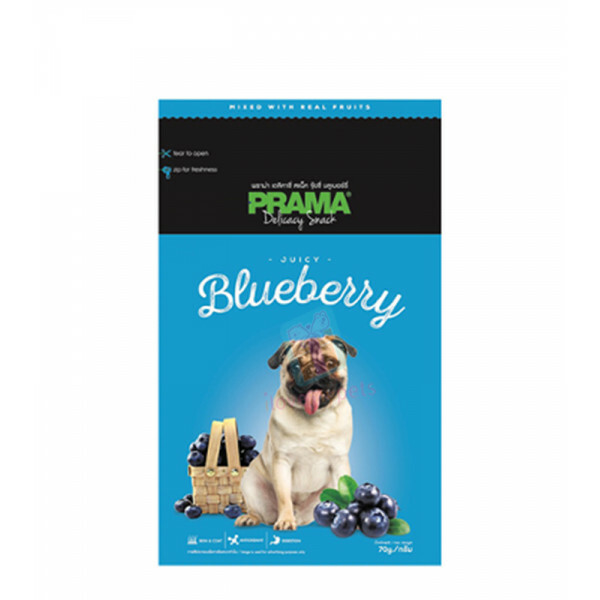 This snack is designed to boots both your canine's health and immunity whilst exhibiting a fresh and fruity aroma. A unique blend of delicate ingredients.- Made with real frui..
Made from fresh chicken meat and carefully selected exotic fruit. This snack is designed to boots both your canine's health and immunity whilst exhibiting a fresh and fruity aroma. A unique blend of delicate ingredients. Chicken Meat, Tapioca Starch, Wheat Flour, Sorbitol, Soy Protein, Glycerin, Wheat Gluten, Blueberry, Artificial color, Salt, Preservatives.